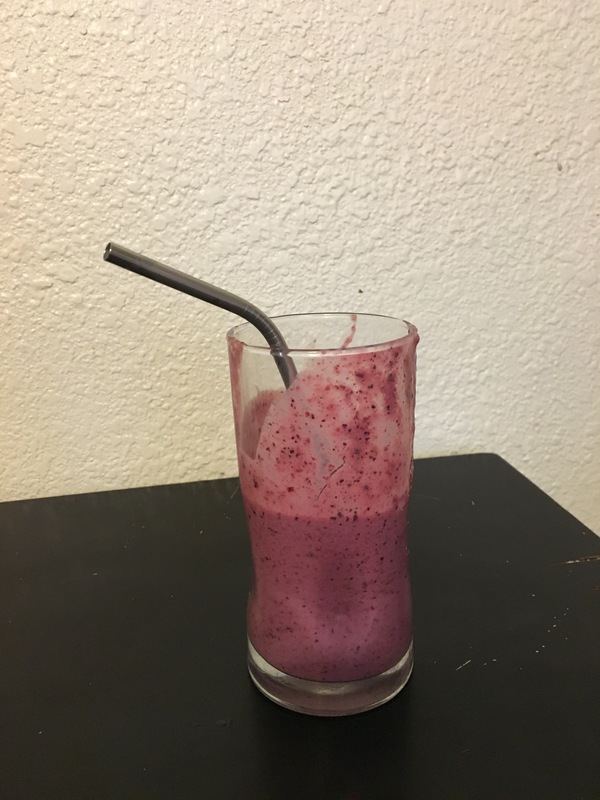 So with the warmer weather returning (much warmer weather soon according to the weekend forecast…), it’s time to get back to one of my favorite drink varieties: the smoothie. Of course, a smoothie isn’t just a drink, it can be a whole meal. and it happens to be one of my favorite breakfast choices. And we aren’t even into summer yet so… you can probably expect at least one more post on different frothy almost frozen goodness in the months to come. But for now, here are three varieties we’ve been enjoying here in case you are also ready to bust out the blender. I also added a splash of milk to get it closer to the consistency I wanted 🙂 I highly recommend enjoying these with a straw. I personally prefer these: SipWell Stainless Steel Drinking Straws, Set of 4, Free Cleaning Brush Included since paper straws don’t pair well with smoothies and I’m trying to cut back on our plastic consumption. 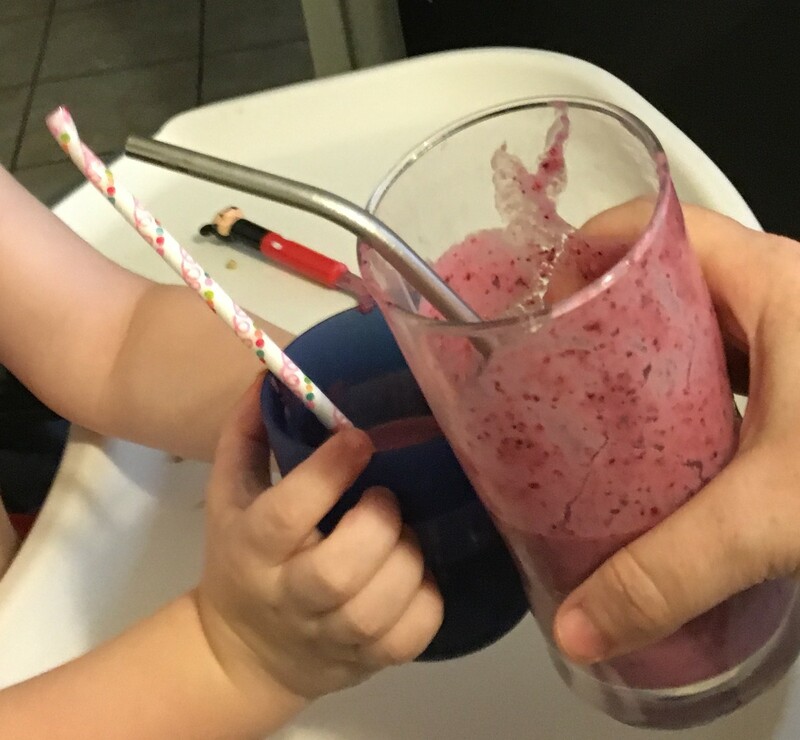 Bonus, the stainless steel straws take on a nice cool temperature while you drink up the smoothie! 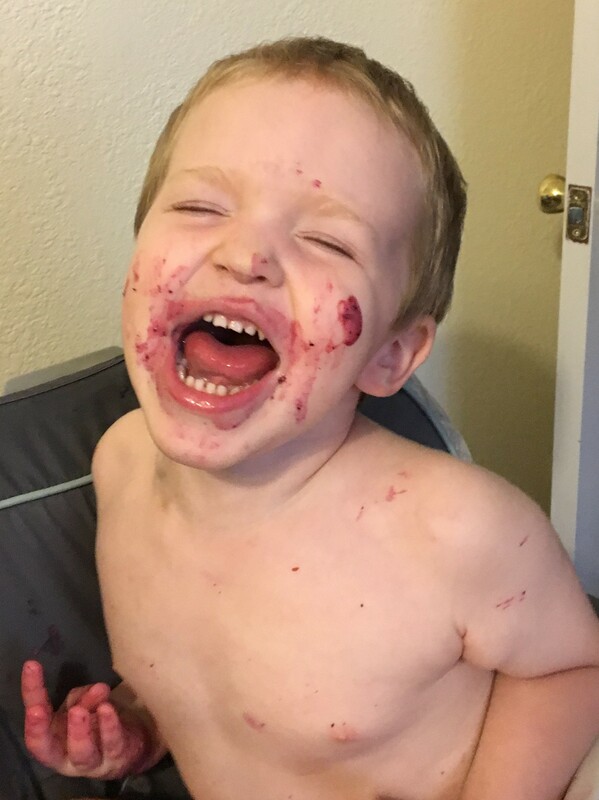 Of course, you could always take my son’s approach and just try to devour it all in one monster-like gulp. 2. The supposedly good for you but way too chocolatey for it to be true smoothie: This recipe is one of those smoothies that seems more like a milkshake in disguise. supposedly the oats and the almond milk make it “healthy”… I used honey instead of maple syrup because I’m just not a fan of syrup. I didn’t have chia seed so I skipped that too. I also appreciated that this is SUPPOSED to be prepared the night before because I’m a little fuzzy in the mornings sometimes so it was great that all I had to do was set up the blender and push the on button. I didn’t love this mixture but I think that’s because the lack of yogurt or other dairy just made it so different from the smoothies I am used to! 3. 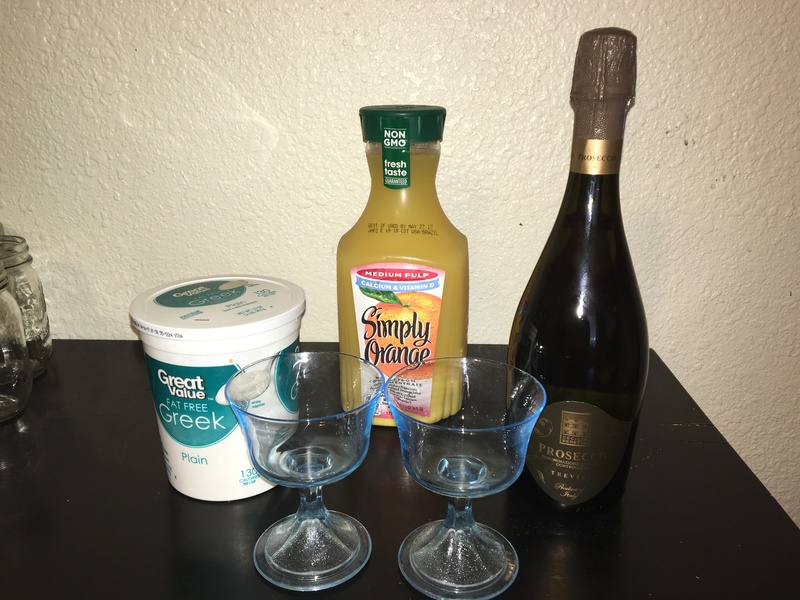 The alcoholic smoothie: In case your traditional mimosa isn’t a refreshing enough brunch pairing, now you can make it a smoothie! Just throw that orange juice and bubbly in a blender with equal parts vanilla yogurt (we used Greek yogurt because who doesn’t want more protein…), and enjoy! I enjoyed this recipe but I won’t lie, part of me wondered why we were cutting the beauty of a traditional mimosa with yogurt. It did turn out different and extra cool, and creamy, so for some people who might be more refreshing. This could also make a great addition to a mimosa flight or mimosa bar at a party… I’m looking at you friends who are getting ready to have a bridal shower! What are your favorite smoothie blends? I won’t lie, a lot of the recipes I see are not an option for me because I’m allergic to banana… but I’m always looking to try new things… and my boys are huge banana fans so I can always pass along recommendations to them!